The award for best new voice in 2016 goes to Isaac Gracie, and the fact that this is a live recording speaks volumes. Isaac doesn't have a lot of tracks, but with the potential flashed on "All In My Mind" I am really looking forward to seeing what he can do. Bon Iver walks--and sometimes crosses--a fine line between exploring new sounds and creating needless noise on his new album. But on "8 (circle)" he nails it. Sounding more soulful than he ever has, Vernon stays in a lower register and delivers strong. "We've galvanized at the squall of it all" is one of his best lyrics ever. Animal Collective just couldn't accept that they'd mastered the balance between experimentalism and pop way back in 2009 with songs like "My Girls", instead opting for years of mind-blowingly noisy and, cough, "challenging" music that got the occasional good review but got no consistent airplay from anyone I knew. Their new album may not be a complete return to form, but for one shining moment on "Golden Gal" the band shows why they took the world by storm. Like passion and key changes? Sia is perhaps the queen of the epic anthem these days, and she leaves nothing on the table here. The result is the kind of song that needs the volume high. Close your eyes and let "Boxing" sweep over you. High Highs make some moody, atmospheric music, and "Boxing" is the best of a strong album. On hearing the opening song from Band of Horses new album, it was like meeting up with an old familiar friend. It's no secret that I--and many others--found Band of Horses' last album to be disappointing and lost. "Dull Times/The Moon" is a seven minute song that opens their new album, and the first half is vintage BoH, pensive and thoughtful. The second half is a romp, reminiscent of their earliest days. It works wonders together. 80 West stretches from Chicago to San Francisco, traversing the endless Midwest of Nebraska, Iowa, and Wyoming, slipping through beautiful Salt Lake City, across the worst stretch of major freeway through northern Nevada, before crossing the Bay Bridge into San Francisco. I've been on this freeway at almost every stretch, but on different trips, with many pensive moments along the way. For a band based out of Brooklyn, NY, the song title hints that the song was written on the road. It's a thoughtful song, and I like to imagine it was penned on one of those great road trip moments. I needed this song. This blog has meant a lot to me, and the early formative years were filled and inspired by Jimmy Eat World. Songs like "23" and "Dizzy" are among my all time favorites, and I've seen Jimmy Eat World live multiple times. To me they always perfectly encapsulated the best elements of energy and introspective lyrics. If you want to try and hear what I hear, focus on the line "I imagine talks that last all night/never bring it up, but every day I want to/I think about us dancing, but it's not something we do/well there's my dream, doesn't it sound good to you?". 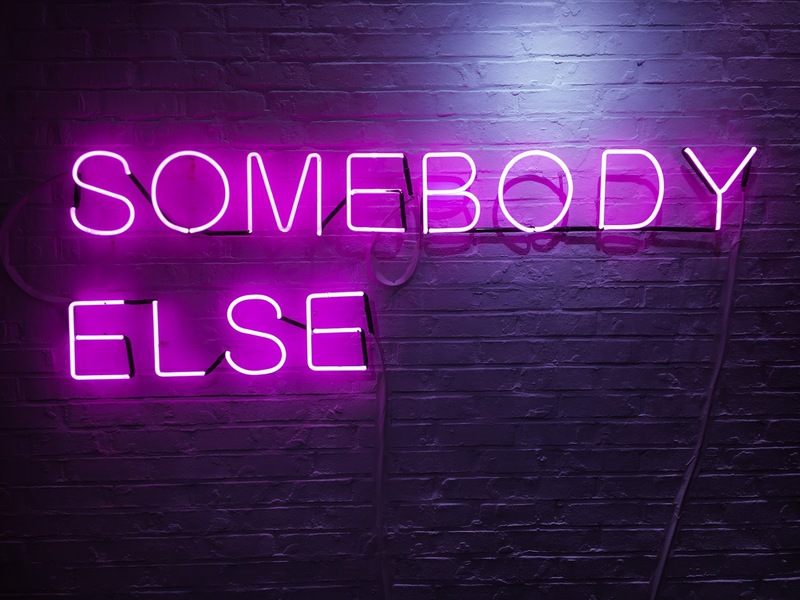 In one line, both lyrically and with delivery, the song perfectly captures the disappointment when dreams and expectations don't match reality. "Red Earth & The Pouring Rain" is said to have been inspired by an ancient Sangam poem found in the lead singer's room in an Indian guest house in the coastal town of Kochi. The poem, which you can read about here, reads "But in love our hearts are as red earth and pouring rain: mingled, beyond parting." It's a beautiful verse and a fantastic song. Musically, the influence of the 80's are obvious, and the song builds over a propulsive drum line. Vocally the deilvery is full of sincerity. This is an inspired album and an inspired song, and the inspiration is completely unique to anything I can think to compare it to. The 1975 amaze me, and I wish I were a fly on the wall to understand how this band operates and writes music. I say this because there is a definite teen-sensation element to the band, where image means something and a flock of high school girls no doubt love them. There's immaturity in the lyrics as well at times, including this song,, and they have an entire song called "Please Be Naked". What's amazing about that song is that it's an instrumental, and it's beautiful. Their albums are full of curious filler and overwrought song titles. But then, like they also have before ("Chocolate" and "Robbers" to name a couple), they are capable of an absolutely perfect song. In a word, The 1975 confound me. 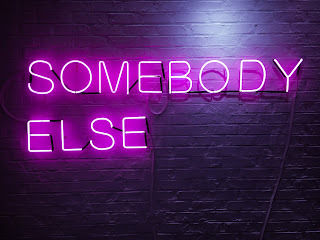 So that leaves us with "Somebody Else", and although any of the top three songs this year could have been #1, it's this song I keep coming back to over and over again. Start with the haunting and simple opening, which portrays a dark and lonely soundscape right off the bat. The echoing and wounded vocals hit, with the opening line "So I heard you found somebody else, and at first, I thought, it was lie..." Before you feel for the artist too much, it becomes apparent that the source of the breakup is himself, though he's trapped in the confusing feelings of missing some elements of the relationship despite being the source for its demise. Musically the song is incredibly lush with detail. Just pay attention to the background right at the minute mark, for instance. This song is not remotely straightforward, and if you don't give them the time of day because of their image, you will miss it. I can scarcely think of a song that uses its sound to convey a mood better. The confusion, the jealousy, the anxiety, the haziness of everything being expressed, can be felt just as much as it's explained through the vocals. This song, especially the first minute, is the best of 2016. The top hit 50 songs of 2016 I should say because I have heard a majority of them and they really had a great tone with great lyrics.